Selling a laptop and looking to upgrade? You’ve come to the right place. 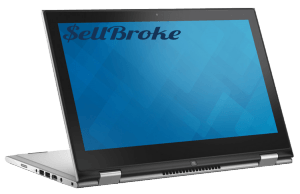 Today we will take a look at the Dell Inspiron 13 7000 2-in-1, 2015 edition. 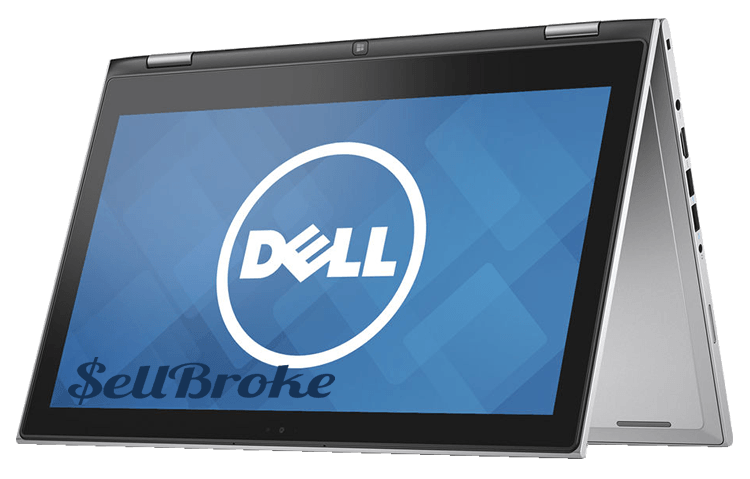 If you’re, looking for last year’s model this Dell should fit both your budget and your needs. Since this is the 7000 series, the next level up would be the Dell XPS 13. 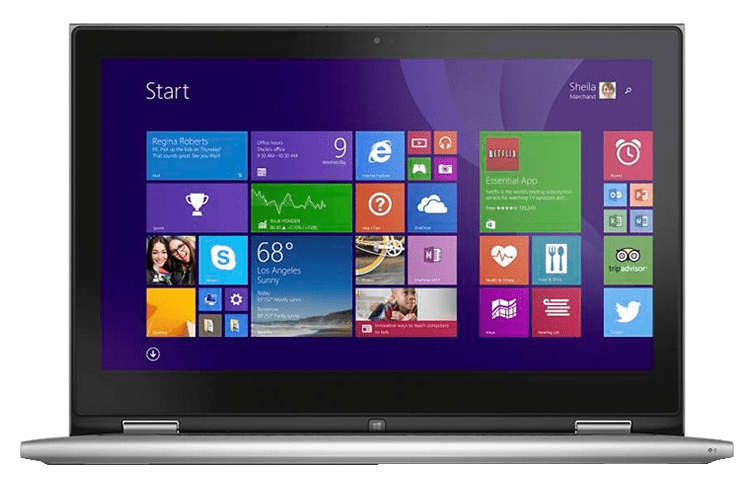 Here’s the Dell Inspiron 13 7000, 2015 edition. In 2015 the all new Broadwell processors were all the hype and the 11 7000 featured them as well. How about we go and break down the specs? You get an Intel Core i5-5200U, 8GB of RAM, an Intel HD 5500, 13.3-inch IPS display, half of a terabyte hard drive and a 43WHR battery pack. All of this came to you for an attractive price of $749.99. Now, a year later you surely can pick one up for less. The top features a plastic finish that feels very nice, but the downside is that it picks up fingerprints like nobody’s business! So keep your cleaner handy. The interior features a sleek and stylish aluminum finish that just looks gorgeous. It also comes with the chamfered edges around the laptop as well as surrounding the trackpad. The weight comes in at 3.68-pounds, which is about a pound heavier than the XPS 13, and just a touch heavier than the MacBook Pro 13-inch. The front panel features an HD webcam and a physical home button for tablet mode. The bottom has two rows of rubber feet to help keep the notebook sturdy and well ventilated. On the backside you will find the exhaust port for the fans and the speaker grills. The interior also has rubber along the edges of the keyboard in order to keep it sturdy when using it in stand mode. The left side of the laptop has the Kensington Security Lock Slot, the AC charging port, a full-size HDMI port, two USB 3.0s and the headset.microphone combo jack. On the right side it has the power button, volume up and down button, USB 2.0 port and an SD card reader. When inserted the SD card is pretty flush to the edge, which is nice because you won’t run the risk of breaking it off inside your laptop. This keyboard does have a bit of bounce and flex to it surround the keys, but it’s not anything to get too worried about. Keyboard performance is pretty good.The key travel is adequate and the tactile feedback is great. This keyboard also has the two-stage backlighting feature of either low or high. The trackpad surface is plastic unlike the glass finish found on the Dell XPS 13. The tracking is great. The two-finger scrolling and multi-touch gestures are highly responsive. The reason they are so precise is because Dell opted to use the MicroSoft precision trackpad drivers that are also found in the 13 XPS. The biggest difference between the XPS and the 7000 is the 2-in-1 function modes. 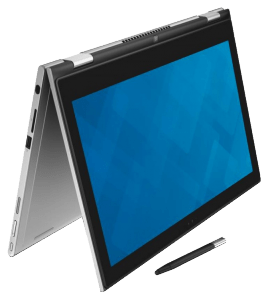 There is the laptop mode for everyday functions, stand mode is useful for presentations, then we have tent mode which is good for touch based games or just streaming media, and finally tablet mode. Due to the weight of this laptop tablet mode is kind of cumbersome. However, there was no excessive heat or fan noise when doubled back on itself. Obviously the keyboard is deactivated when in any mode other than the standard mode. A couple things to be aware when in tablet mode are when upright the two panels bounce off each other and the aluminum edges of the hinges are pretty sharp, especially when using it in portrait mode, so beware of that. The Samsung panel that Dell chose on this unit is spectacular. The colors are vivid and the just poop out at you. The RGB coverage came in at 97% and the AdobeRGB came in at 76%. These are the same type of scores that you’d find the Dell XPS 13. You definitely won’t have any complaints when it comes to the brightness levels, as they come in nice and bright. Also given that this is an IPS display you will end up with very nice viewing angles. One drawback however is the amount of reflection that this panel broadcasts. So working near windows or bright lighting must be keep in mind to avoid gnarly reflections. The 10-point touchscreen is nice and smooth and has highly responsive scrolling and multi-touch gestures make using the Windows 8.1 a pleasant and smooth experience. The i5-5200U is a Broadwell chip that powers this laptop. You get pretty good performance from this chip for web browsing, programming and even light video and photo editing. Also keep in mind this is the same chip that powers the mid-tier Dell XPS 13. The bench scores come in really nice for this chip. With the new Broadwell U processors you also get the all-new Intel HD 5500 which is a fairly capable integrated graphics card. Just like the CPU, the GPU’s benchmarks were outstanding. As far as temperature is concerned, even after about 45 minutes of constant game play remained pretty cool. The high was around 63 degrees Celsius, wit and average of 50 degrees Celsius. The keyboard stayed about 40 degrees Celsius. These temps are pretty impressive especially being under heavy loads. 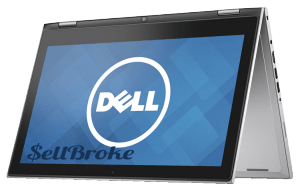 A quick look into the internal components Dell featured the 500GB HD running at 5400RPM that is 7mm and is easily upgradeable to a Solid State Drive (SSD). Average read and write speeds were about 109-110 MBs per second. On day to day functions the fans are going to stay almost silent, but when put under heavier loads such as gaming they can tend to get a bit noisy. The two bottom side facing speakers were pretty good. The sound quality is adequate and the mid-range levels are decent once you tune the setting in the Dell MaxxAudio Pro. Battery life has been the downfall of this laptop compared to other 2-in-1 laptops on the market. Dell cut some corners here by only providing a 43WHR battery as compared to others like the Yoga 3 Pro and the HP Spectre x360 that give you bigger batteries. With casual web browsing and mixed YouTube and Netflix streaming with screen brightness set to about 50% you can expect to only get about 4-5 hours on a full charge. 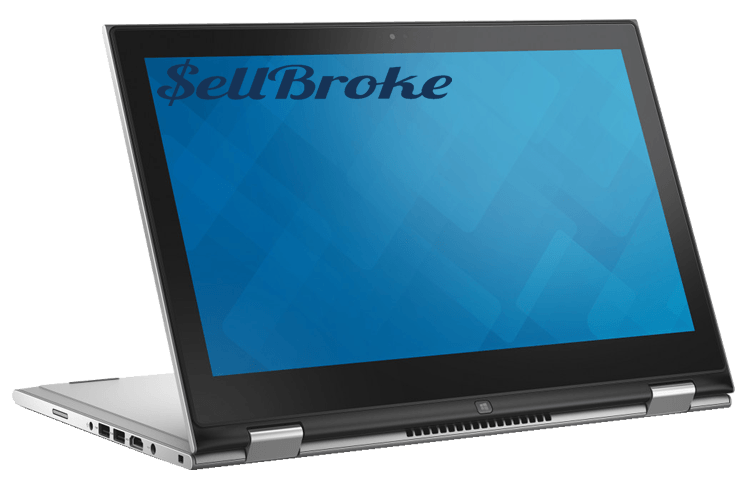 Looking to buy or sell your laptop? See how much it’s worth. 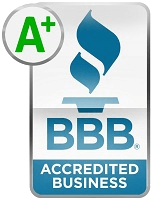 Check out our homepage for an instant quote for your laptop.